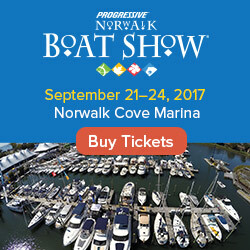 Just as mobile devices have finally reached the point where they can easily run useful apps for boaters, they are on the brink of being banned by the Coast Guard. If an iPhone or Droid is mounted on your console running a navigation application, that’s probably not going to get anybody into trouble. However, someone chatting on a cell phone or having a text conversation while at the helm is another story altogether. This could prove as dangerous as texting while driving a car, especially in a crowded river, lake or harbor. 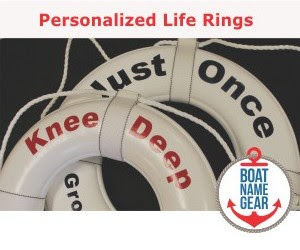 The National Transportation Safety Board (NTSB – the same US agency that figures out how plane crashes happen) is currently investigating two collisions involving Coast Guard craft and civilian boats in which Coast Guard personnel were using cell phones. After determining that a Coast Guard crew member was using a cell phone, either for a conversation or texting, just before one of the collisions in which an 8-year old was killed, the NTSB called on the Coast Guard to adopt policies banning the use of cell phones and other devices. "The use of wireless communications devices while operating vehicles in any mode of transportation poses an unacceptable distraction," NTSB Chairman Deborah A.P. Hersman said. "State governments and federal regulators have been acting to combat these safety hazards and we urge the Coast Guard to do the same." Ahead of the NTSB recommendation, the Coast Guard in July issued a ban on the use of cell phones and other wireless devices by the operators of Coast Guard vessels while underway. The Coast Guard has also agreed to take the NTSB’s recommendations seriously and to respond appropriately. If the NTSB recommendations are followed, the Coast Guard may extend their ban to all operators of commercial and recreational vessels. For now, the Coast Guard is just passing along a warning. Coast Guard spokesman Lt. Commander Chris O'Neil stated, "Just like when driving a vehicle on the road, when you are operating a boat, you must maintain situational awareness - and cell phone devices take away from that situational awareness." 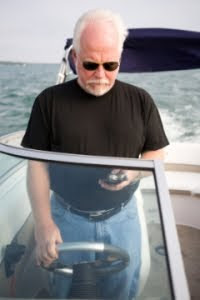 Do you use your cell phone while boating? Is texting while boating as dangerous as texting while boating? Please let us know what you think. Explain to me the difference between talking on a cell phone and a VHF radio. Maybe they are going to ban that too. Good!!!!!! Ban cell phones on boats! I am tired of being on the road with dolts driving and talking on their cell phones I DO NOT want to be on the water with more idiots talking on their cell phone. Does everyone think that they are so important that they can't live without a cell phone in their hand? Your conversation is not worth a persons life.